The Sydney Clock Company designs and manufactures a unique range of large, modern, wall clocks. Varying in diameter sizes from 500mm up to 840mm, these classic, contemporary clocks have been created for indoor or outdoor use. In this throwaway age, we believe in making durable timepieces here in Australia and we like to ensure that each classic design has our signature quality finish. In addition to our own range of Australian-made clocks, the Sydney Clock Company also stocks clocks from high quality brands, such as German-based Hermle (for mantle clocks) and HB & Sons (for carriage, ships and tide clocks). All of our clocks are covered by a 12 month warranty from the purchase date as part of the service we offer you. In October 2013, we launched a new website, School Clocks by The Sydney Clock Company, which focuses specifically on a school's needs and offers 'clocks' as a unique end of year gift. With easy-to-use fact sheets and the option to add a school emblem or presentation plaque, we aim to simplify your school's shopping trip. 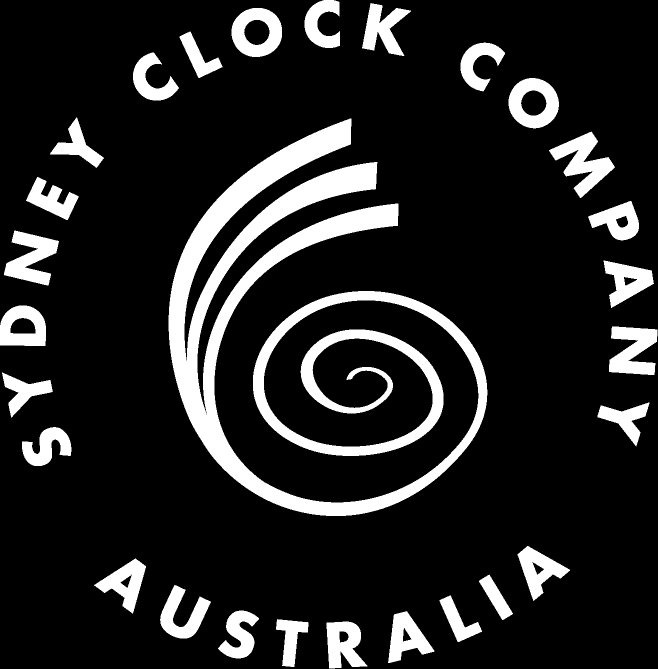 Time and Motion is the parent company for the Sydney Clock Company and was established on the Northern Beaches of Sydney in 1990. Time and Motion continues to specialise in top quality repair and restoration of all antique clocks - from miniature carriage clocks to long-case clocks – operating in both the Southern Highlands and Sydney. The company owner, Matthew Munn is an expert clockmaker and member of the Watch- and Clockmakers Australia Inc. He has been repairing, restoring and designing clocks for over 20 years. After working in the industry for many years, he established his own company, Time and Motion back in 1990 and quickly became a specialist for the restoration of antique clocks amongst private customers as well as local antique dealers on the Northern Beaches. After noticing a gap in the market, Matthew founded a new arm of the business, The Sydney Clock Company, for the design and manufacture of his large Australian-made indoor and outdoor clocks. Amongst his accolades, Matthew has supplied indoor and outdoor clocks to over 1000 schools and universities nationwide, as well as government departments, e.g. Department of Foreign Affairs and the Law Courts. He has also designed and manufactured various clocks for advertisements and television series, such as all four series of the popular Australian television series “Masterchef”, the Chinese “Masterchef” series and the Arabian "Masterchef" 2013 series.